The Nemesis Ultra makes securing your caravan or trailer quick and easy, allowing you to use the Nemesis Ultra at times when other wheel clamps and locks would not be suitable such as service stations and car parks. The Nemesis Ultra incorporates a British Made anti-pick 9-pin lock from premier lock manufacturers Lowe & Fletcher. 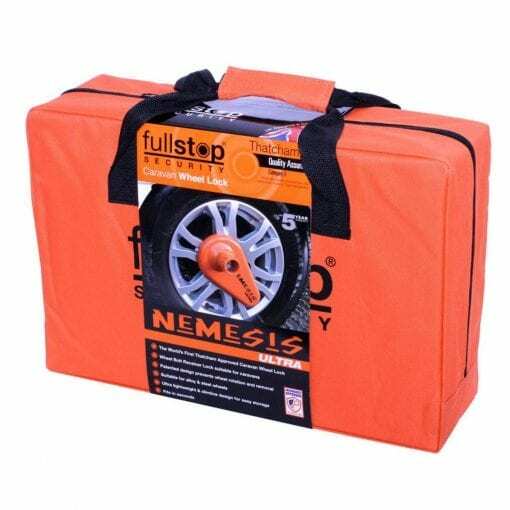 The Nemesis Ultra universal wheel lock is Thatcham category 3 quality assured. Thatcham is the UK’s only not-for-profit independent testing centre. To quote Thatcham “Quite simply, if a product carries the Thatcham Quality Assured trademark – you can rely on it”. Nemesis Ultra has also been accredited by Netherlands vehicle security organisation Kiwa SCM. The Nemesis Ultra was designed in Purple Line’s UK innovation centre. 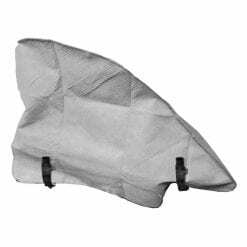 The product design engineers were tasked with simplifying wheel based vehicle protection, ensuring ease of use and product weight were at the forefront of their minds at all times, without compromising on security in any way. Installation involves replacing one of your vehicle’s wheel bolts with the Nemesis Ultra’s wheel bolt receiver. 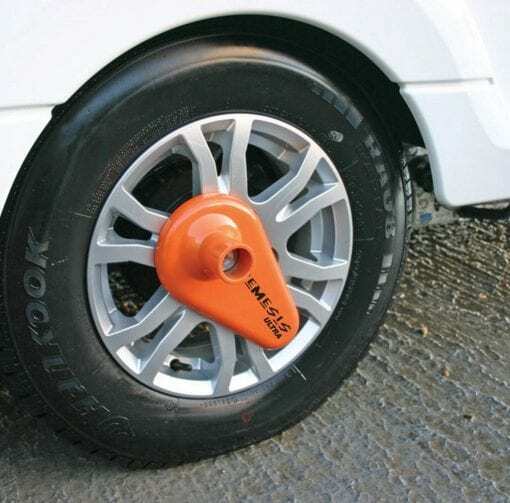 The bolt acts as a permanent replacement for your existing wheel bolt. 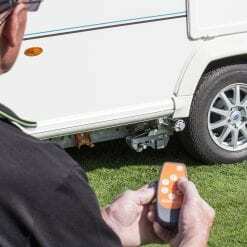 The Nemesis Ultra then locks into the wheel bolt receiver, with the toughened steel bar passing through the wheel, fouling on the vehicle’s chassis in the event of attempted wheel rotation. No need for any fiddly alignment. Q. Can I order replacement/spare keys for my Nemesis Ultra? A. Yes. As long as you have registered your product with us and we have a record of the 6 digit key number or you have kept a record of the key number. The replacement/spare keys are supplied in pairs and cost £19.50 including VAT. The keys take around 2-3 weeks to be cut, dispatched and delivered to your preferred address. Q. 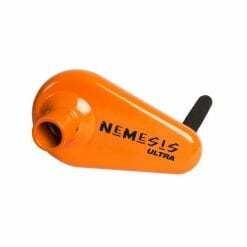 Will the Nemesis Ultra fit to my caravans wheel? A. The Nemesis Ultra can be fitted to both Alloy and Steel wheels. replacing your vehicle’s wheel bolt with the Nemesis Ultra wheel bolt receiver. Unfortunately, we are unable to keep a definite list of vehicles the Nemesis Ultra Wheel Lock fits, if you are still unsure please find a local retailer.